Even the simplest details can elevate a photograph from ordinary to something the will make your viewer stop and look again. The best part is that so often the viewer doesn’t know what it is that drew them in. Composing an image carefully with knowledge of what makes a compelling image is an art form in itself. A wealth of knowledge of composition, combined with technical skills, is why the best photographers can create phenomenal images with the most basic cameras. It’s not about the gear. Knowing how to use color in photography composition is one of these essential skills. The good news is that it is not at all difficult. 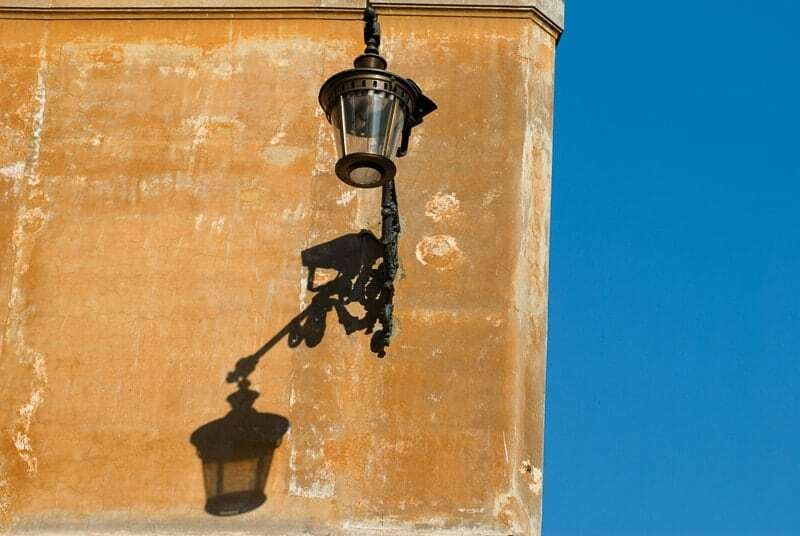 In color photography, contrast is the different in the luminance of a color. So, in other words how bright the color is. If you’ve used Lightroom and played with the luminance slider to make your blue sky bluer, what you’re doing is adjusting the contrast of the blue. You’re making the blue brighter, more blue. Contrast is the difference between e.g. the pale yellow of pastel yellow and the bright yellow of canary yellow. In the image on the left I've increased the contrast of the blue. Here we have bright orange next to bright blue. They are distinctly different colors, so the image pops with color. 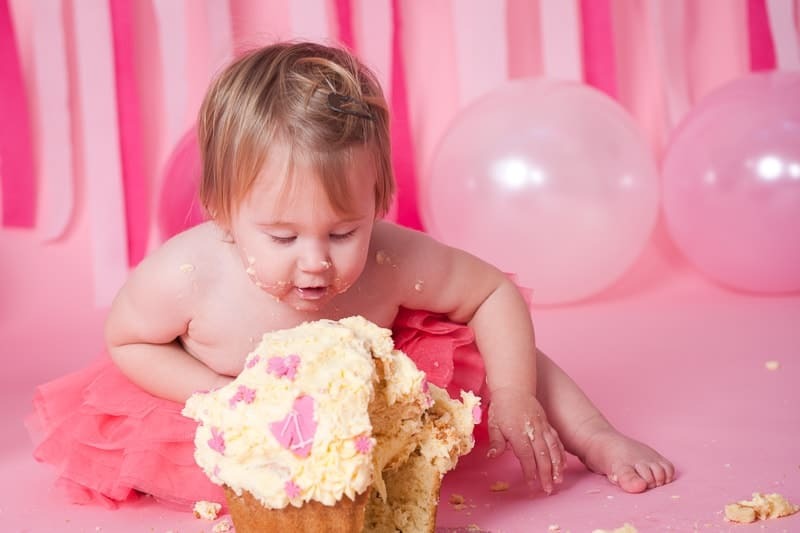 In this image we have pale pink balloons and medium pink background contrasting with bright pink ribbons. They are all pink, but differ only through color contrast, so while it is a colorful image, it doesn’t pop with color. To make an image pop with color, use colors that stand out from each other, which leads me to complementary colors. 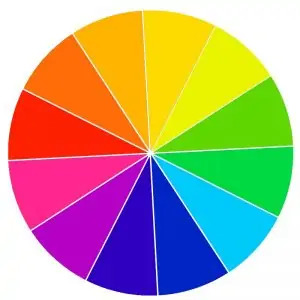 To understand how to use complementary colors, you must first get to grips with the color wheel. 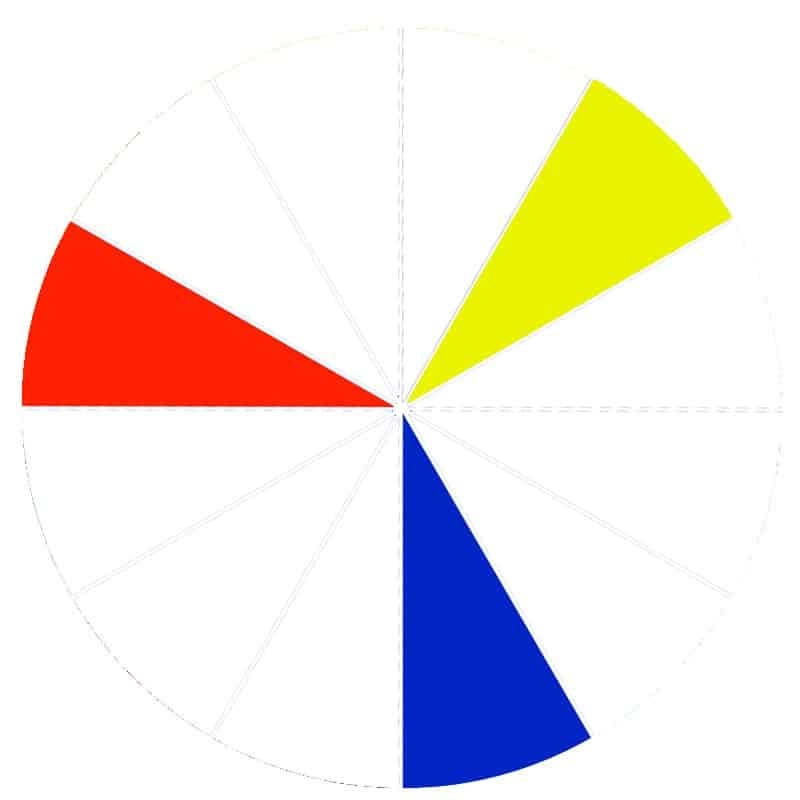 Let’s start with the basic knowledge that all colors are made from the three primary colors of blue, red and yellow. For example, mix blue and yellow to get green, or blue and red to get purple. Colors that complement each other appear opposite each other on the color wheel, so they’re also called opposite colors, or (confusingly) contrasting colours. In this sense, we’re not referring to the brightness of the colors, as in color contrast, we’re saying that they are opposites and therefore complementary in terms of design. Purple shades fall between blue and red. Orange shades are between red and yellow. Green shades fall between yellow and blue. Blue + red = purple. Therefore purple is the complement of yellow. Red + yellow = orange. Therefore orange is the complement of blue. Yellow + blue = green. Therefore green is the complement of red. Another way is to picture the color wheel. Or, if you prefer, you could download our color wheel for free, print it and keep it in your camera bag until it becomes second nature and you don’t need to refer to it any more. Enter your email to grab your FREE color wheel and get our weekly tips. 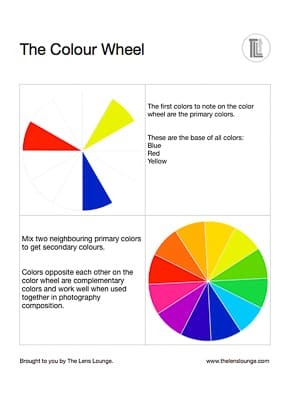 The color wheel is also helpful for seeing which secondary colors are opposite each other. Opposing secondary colors work just as well. Purple (between blue and red) is opposite yellow. 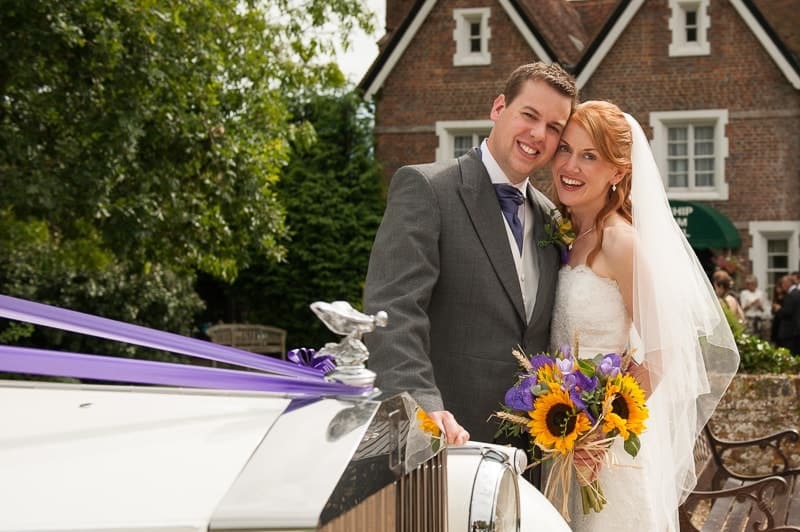 Therefore purple and yellow are complementary colors and will work well in an image where you want the color to pop. Orange (between red and yellow) is opposite blue. Orange is therefore a complementary color of blue. Take note of the colors around you at the mall, in advertising, in magazines and even company logos and you’ll start seeing the color wheel being used in everyday design. Then it will be easy to start spotting colors that will work well together when you’re out with your camera. When setting up a styled shoot, plan it so that the colors work as an extra layer of composition in your images to make them blend or pop, depending on what you want to achieve. All of a sudden, deciding on what colors to include just became a whole lot easier! No design degree needed for color theory, just a handy color chart. Click to read about the other 18 essential composition techniques for creating photographs that wow. Keep a lookout for our follow up post on how to use colors to convey emotion in your photography. You can also register for weekly updates of our Through The Lens Bulletin so that you never miss out on great photography tips and tutorials. If you have any questions about using color in photography composition, let us know in the comments. Also, we love good news, so if our photography tips have helped you to understand how to use color, share that too. Will this tutorial help you to use color in photography composition?